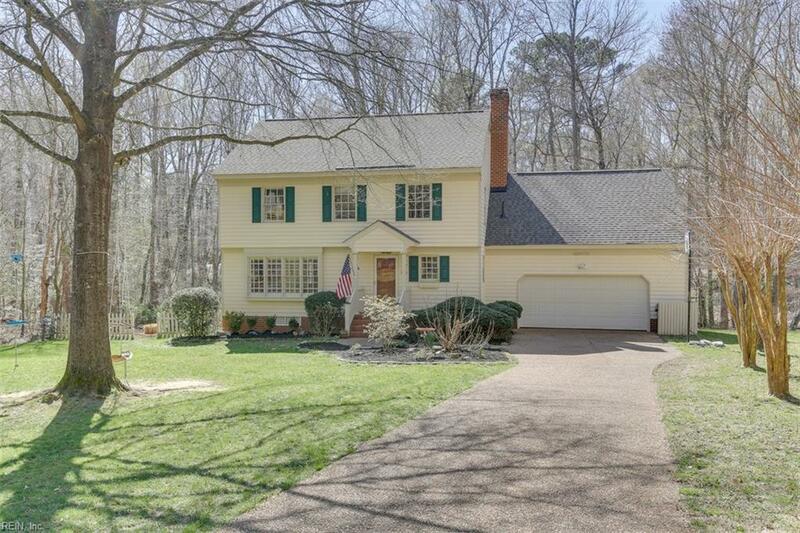 3009 South Ct, James City County, VA 23185 (#10250571) :: Abbitt Realty Co.
Lovely home on a cul-de-sac in an idyllic wooded setting close to everything Williamsburg has to offer! Living room/library with built-in bookcases and plantation shutters. Formal dining room. Kitchen with granite counter tops, pantry and solid wood cabinets opens to family area with fireplace. Solid oak floors throughout on first floor. Upgraded wood trim includes crown molding. Spacious master bedroom with walk-in closet and en-suite bathroom. Second bedroom also has a walk-in closet. Third bedroom boasts large attached bonus room. Two car garage with work bench and built in shelves. 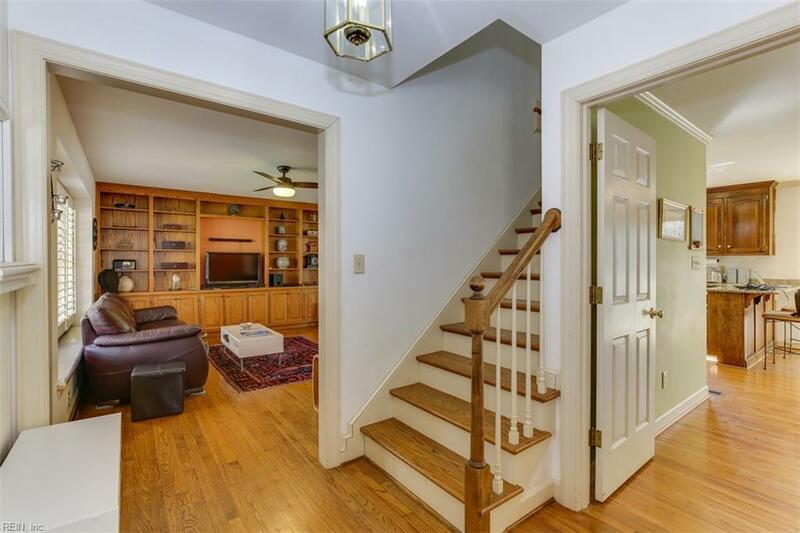 Permanent attic stairs lead to a floored attic that could be built out as another room. 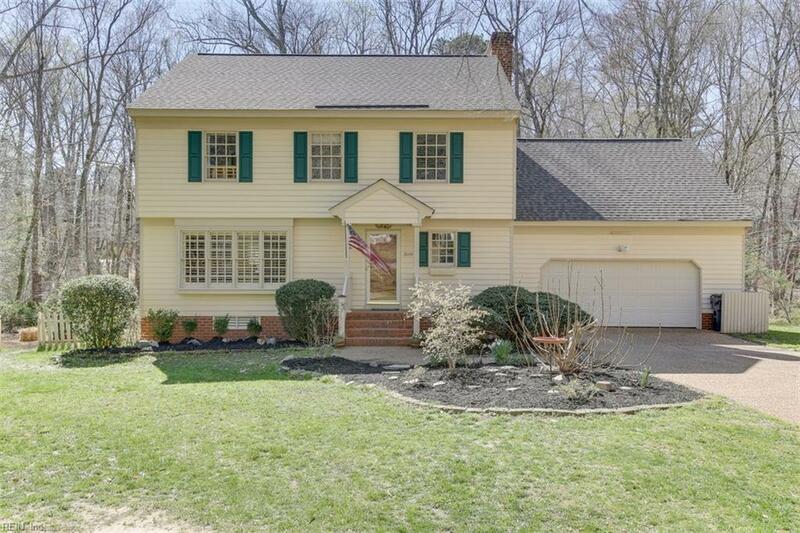 Huge deck with screened gazebo overlooks sprawling backyard with creek. Three minute drive to Rte 199. 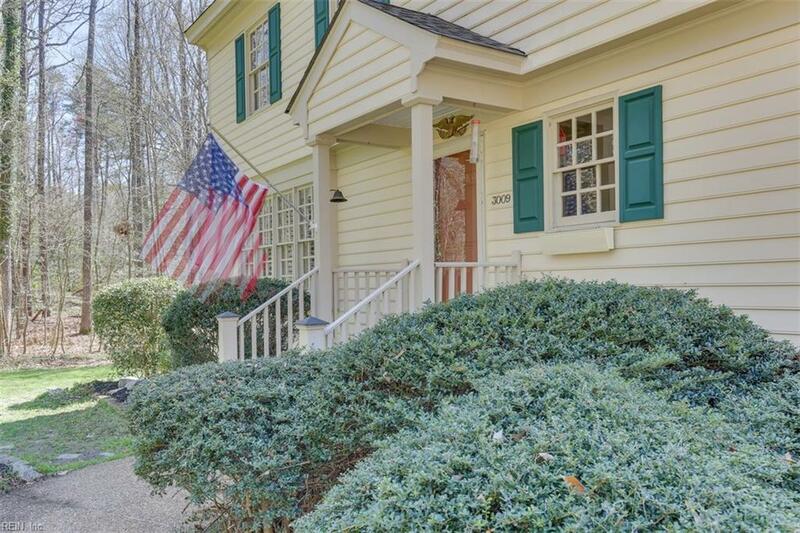 Ten minutes from Colonial Williamsburg and College of William & Mary. Elementary school, Jamestown shops and restaurants nearby. Near Williamsburg Winery.